While empirical, scientific research has much to offer to the practice-oriented therapist in training, it is often difficult to effectively engage the trainee, beginning practitioner, or graduate student in a subject area that can often glaze over the eyes of a reader focused on practical work. Most books about psychotherapy focus either on the process of gathering, analyzing, presenting, and discussing research results, or on conducting clinical work. What most of these texts lack is an engaging, accessible guide on how to incorporate research into practice. 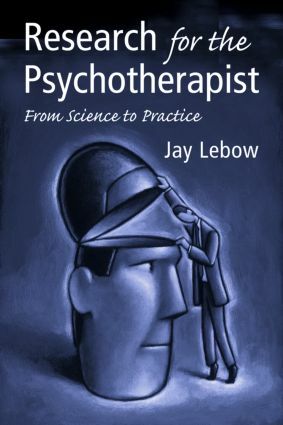 Research for the Psychotherapist: From Science to Practice fills that niche with an approach that bridges the gap between research and practice, presenting concise chapters that distill research findings and clearly apply them to practical issues. Jay Lebow is an accomplished practitioner and researcher in the fields of marriage and family therapy and integrative psychotherapy. In this book, he offers a focused volume that covers a range of topics. This volume should appeal to psychotherapists and students looking for an accessible, jargon-free guide to utilizing research in practical settings.